We are pleased to offer Dan's presentations and published articles, available to download in pdf format. Frustrated by a different color representation on screen to prints from your print provider? Confused which Adobe Photoshop color setting to use or if you should send CMYK files? Dan Reid, president of RPimaging, is a teacher, color management consultant, writer, and artist. His company helps individuals and companies with color matching challenges in photography, printing, and proofing markets. Mr. Reid keeps on the forefront by serving as a beta test site, contributing editor for several trade publications, and on-site instruction for companies nationally. 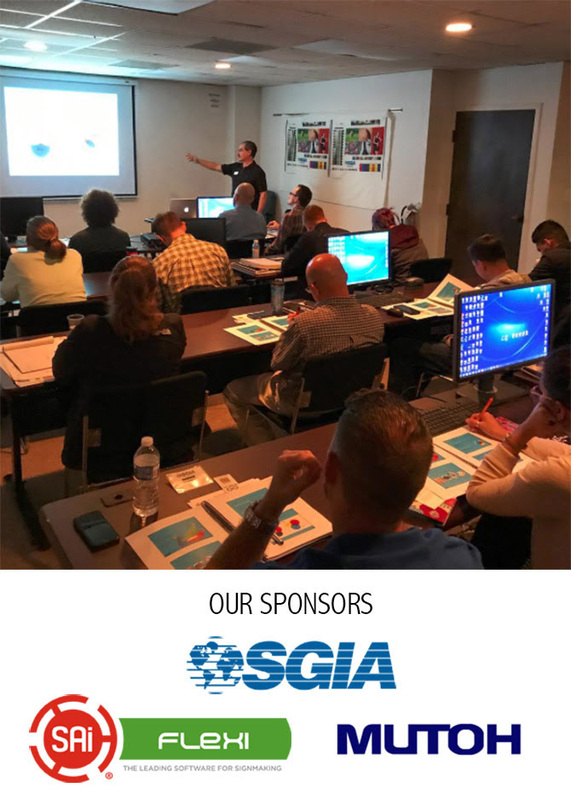 In a short 2 hours on March 7 you will leave confident setting up Adobe Photoshop color settings for communicating with print service providers and monitor calibration methods and options to implement the following day in your business. Noted color expert Dan Reid of RPimaging will guide you through the river of options that impact predicting color from print providers. Dan will go over sending RGB or CMYK files, ICC color space choices, and soft proofing in Adobe Photoshop. An in-depth discussion of monitor calibration; it's importance, limitations, options, and leading technologies makes this an information packed event you will not want to miss. Please see the AzPPA Website for more info on this exciting event! This entry was posted in News, Articles & Presentations and tagged color management, printing, calibration on March 4, 2011 by Josiah. An article discussing the advantages of Hexachrome for print providers. This entry was posted in Articles & Presentations and tagged process, workflow tips, color communication, hexachrome, pantone on October 1, 2005 by RPimaging, INC..
Key differences between ColorVision Spyder 2, GretagMacbeth Eye-One, Monaco Optix XR, and ColorEyes Display. This entry was posted in Articles & Presentations and tagged color management, profiling, workflow tips, proofing, color communication on May 26, 2005 by RPimaging, INC..
GMB and X-Rite duel for your profiling dollar. Who's got the right product for you? This entry was posted in Articles & Presentations and tagged color management, profiling, photography on May 26, 2005 by RPimaging, INC.. Presentation explaining the process of calibrating and profiling a monitor. Includes details on color managing monitors and the Monitor to Print Agreement. This entry was posted in Articles & Presentations and tagged color management, profiling, calibrating, workflow tips, color communication on May 26, 2005 by RPimaging, INC..
A presentation going over the importance of lighting, light sources and the various tools presently available. This entry was posted in Articles & Presentations and tagged color management, color communication, lighting on May 26, 2005 by RPimaging, INC..